John Cudia is equally at home on Opera, Theater and Concert stages. A lyric tenor, he proudly made his Lyric Opera of Chicago debut as Curly in their production of Oklahoma! 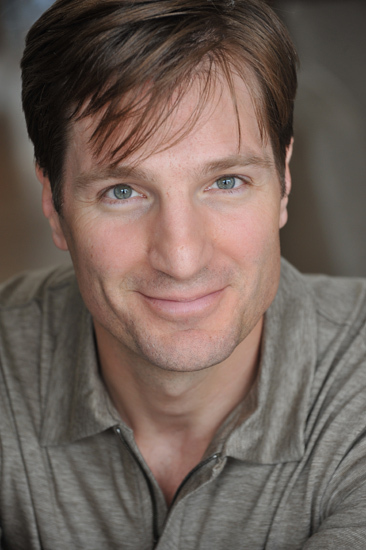 For Vancouver Opera, John most recently sang Count Danilo in The Merry Widow. Previously for Vancouver Opera he sang Cassio in Otello and Juan Peron in Evita. For Indianapolis Opera, he created the role of Dr. Woodly in the World Premiere of Happy Birthday Wanda June by Richard Auldon Clark with Libretto by Indiana’s own Kurt Vonnegut. For Lyric Opera of the North he sang the Duke in Rigoletto and Alfredo in La Traviata. In concert, John had sung with The Baltimore Symphony, The North Carolina Symphony, The Calgary Philharmonic Orchestra, The Jacksonville Symphony Orchestra, and The Detroit Symphony Orchestra all with guest conductor Stuart Chafetz; also Deer Valley Music Festival, Heartland Festival Orchestra. As one of the “three tenors” with The Orchestra Of St. Peter by the Sea. He sang with Maestro Delta David Gier and The South Dakota Symphony Orchestra. As one of “Three Phantoms,” he sang with The Wichita Symphony Orchestra under the direction of Thomas Douglas. John appeared in Christmas with the Omaha Symphony with Ernest Richardson conducting. John has also appeared in The Music of Andrew Lloyd Webber with The Hartford Symphony Orchestra directed by Edward G. Robinson. John is regular member of THE BROADWAY TENORS appearing all over North America. They have worked with The Stockton Symphony, the Shreveport Symphony Orchestra and The Orlando Philharmonic Orchestra just to name a few. John holds the distinct honor of being the first and only actor to have performed both as the The Phantom in The Phantom of the Opera and Jean Valjean in Les Misérables on Broadway. John’s most recent Broadway run counted him as only the 12th performer to play the Phantom in its historic, record-breaking 30+ years. John played Jean Valjean at the Marriott Theater in Chicago where his performance earned him the Joseph Jefferson Award for “best actor in a musical.” John proudly made his Broadway debut in Les Misérables and enjoyed a long and successful relationship with both “Les Miz” and “Phantom.” John’s third Broadway credit was as cover to Juan Peron in Evita with Ricky Martin as Che. John toured the United States and Canada as the Phantom and also has the role of Raoul on Broadway and the North American tour to his credit. Regionally, both Emile Debecque and Lt. Cable in South Pacific, Jesus in Superstar, and Tony in West Side Story and Master Class. John has helped develop new works for the theatre with Roundabout Theatre, the Banff Theatre Centre, Paper Mill Playhouse, composers Jonathon Dove, Frank Wildhorn and Maury Yeston. John earned his BA from Fordham University. He currently studies voice with Metropolitan Opera Baritone Mark Oswald. He and his wife, Broadway actress Kathy Voytko, reside in New Jersey with their two daughters Alena 9, and Evelyn 7, and their dog Kingsley.